South Korea is currently Indonesia’s third biggest investor after Singapore and Japan with an aggregate total investment in the last five years (2012 – 2017) of US$ 7.5 billion represented by 7,607 projects in Indonesia. 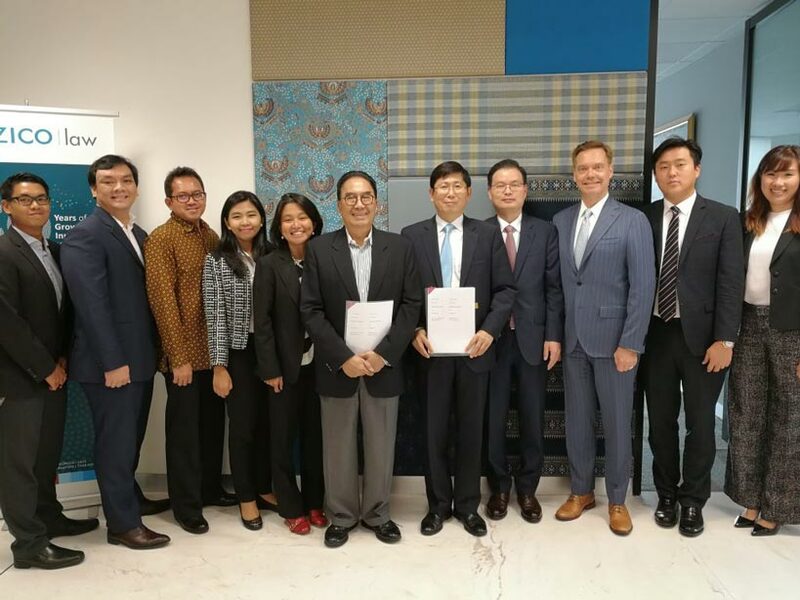 Building on this growth, ZICO Law is pleased to announce that Roosdiono & Partners (“R&P”) and Yulchon LLC (“Yulchon”) have agreed to establish a dedicated Yulchon “Jakarta Desk” in the office of R&P in Indonesia. Yulchon’s “Jakarta Desk” will provide more comprehensive and professional legal services for both Korean companies wishing to invest in Indonesia and Indonesian companies wishing to invest in Korea. The “Jakarta Desk” will also serve to assist Korean clients in their native Korean language in doing business in Indonesia. Yulchon LLC is a leading Korean law firm with 424 lawyers and other professionals in offices in Korea, Vietnam, Myanmar, China and Russia. Additionally, Yulchon was recognized as “National Firm of the Year South Korea” by Chambers Asia-Pacific Awards in 2017. Founded in Jakarta in 1999, R&P is a member of the ZICO Law Network and one of Indonesia’s leading law firms providing full corporate legal services with strengths in M&A, financing, infrastructure projects, and intellectual property. ZICO Law is the first network of leading independent local law firms with a full presence in all 10 ASEAN countries. ZICO Law’s 300+ lawyers enable clients to enjoy value-added legal services by leveraging on a combination of local expertise and regional insights. For more information regarding Yulchon’s “Jakarta Desk”, please contact Adrio Rivadi at moc.s1555620208gnidl1555620208ohoci1555620208z@ida1555620208vir.o1555620208irda1555620208.